We’re shameless nerds. We love to read—to ourselves and to our families. In an age of iPads and Kindles, we’re two old-fashioned girls who love the feel of the pages and the bright colors of illustrations for kids. With the love for books comes the need for shelving—lots and lots of shelving—and lately, we love adding a special shelf for the current book, the favorite read and the trusty one that always puts weary heads to sleep. Here are some unique bookshelves for our favorite reads. Stories help little ones wander up into the proverbial clouds, so we can’t help but love this cloud shelf for holding these wonderful tales and adding another visual element to the room. Far simpler in form than the cloud but with just as strong a visual impact, these bright shelves from Room and Board are both functional, fun and add a punch of color to the walls on which they are placed. Speaking of color, Jennifer Delonge’s Book Bound collection achieves a beautiful effect. Moving from the colorful to the industrial, this Industrial Pipe Shelf from Restoration Hardware is an innovative piece certain to capture the attention of a curious little one. Now from the pipes to pretty, these Baroque frames are romantic yet funky, classic yet modern and, in our minds, the perfect home for our favorite reads. We love the whole range of shelf frames from Trista; their fun colors and designs are functional, decorative and the leather finish is such a nice, surprising touch. No matter where you store them, we hope that your favorite book always has as special a place in your home as it does in your heart. 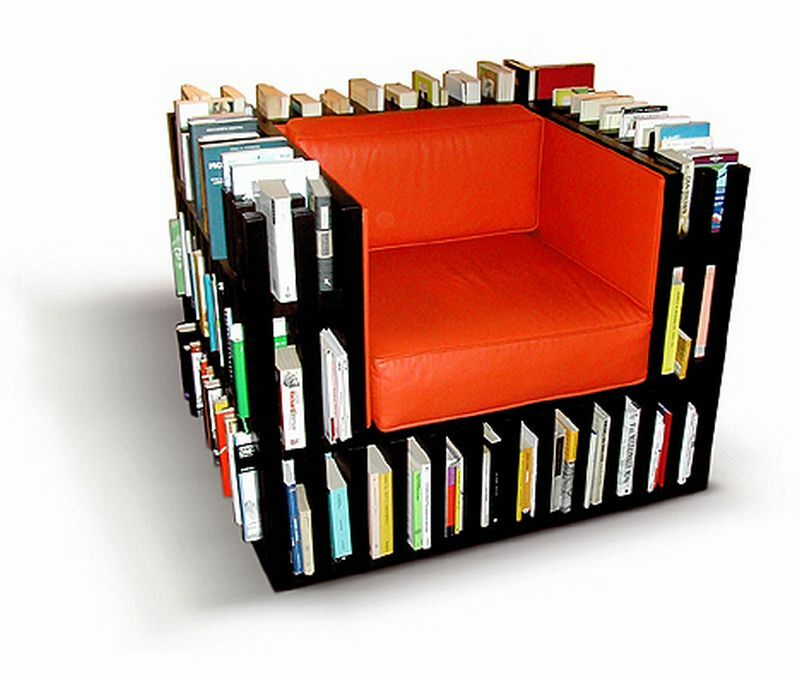 There are so many creative bookshelf designs now that it’s getting hard to choose! I love the Book Bound shelves by Jennifer Delonge … but everywhere I’ve looked they’re completely out of stock =( May need to DIY some shelves like them. We have tons of books in our house, so cutesy designs would never work. We need all the wall space we can afford for those tradition bookshelves that are designed to accommodate as many books as they can. As a book lover, I would love my kid to grow up in the company of books. To be honest, I am having a hard time picking out a favorite from all these, it is all so pretty! Wow, I’d love this, too! It makes reading time very convenient.